30 people have viewed this property this week. 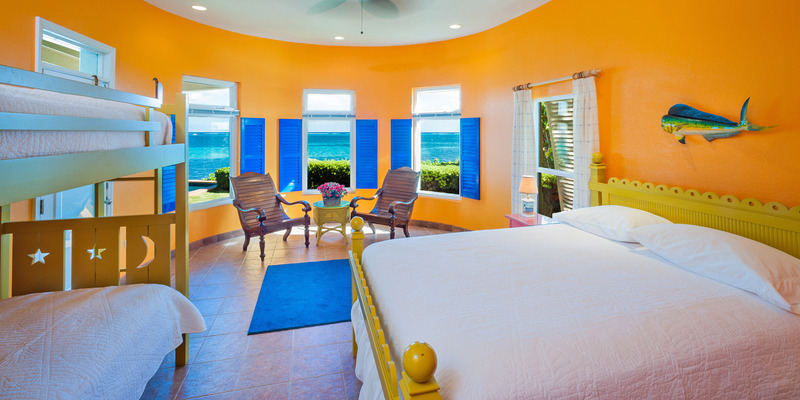 King suite with gorgeous ocean views, small flat screen TV, and en-suite bath with large walk-in shower. 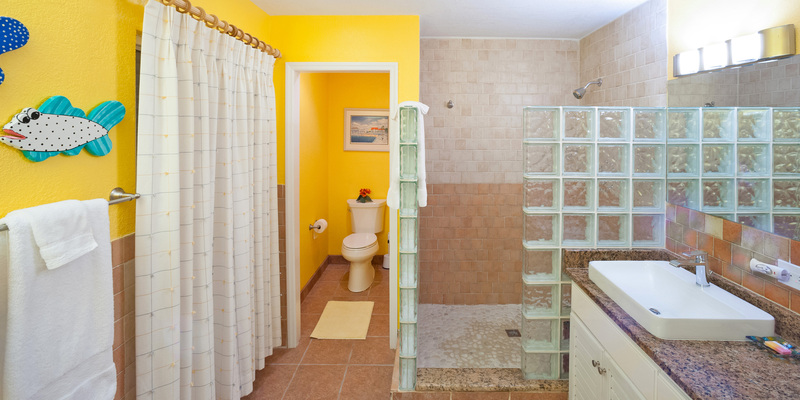 Queen suite with lovely views, overflow twin bunk beds, and en-suite bath with walk-in shower and dual vanities. 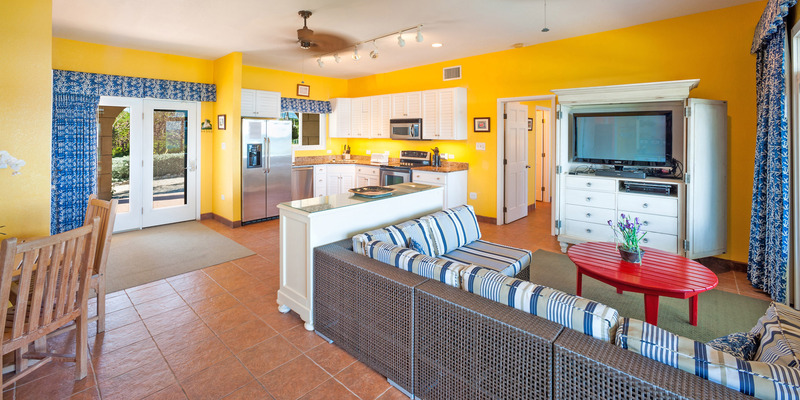 Comfortable oceanfront living area with sectional couch, flat screen satellite TV and Apple TV. 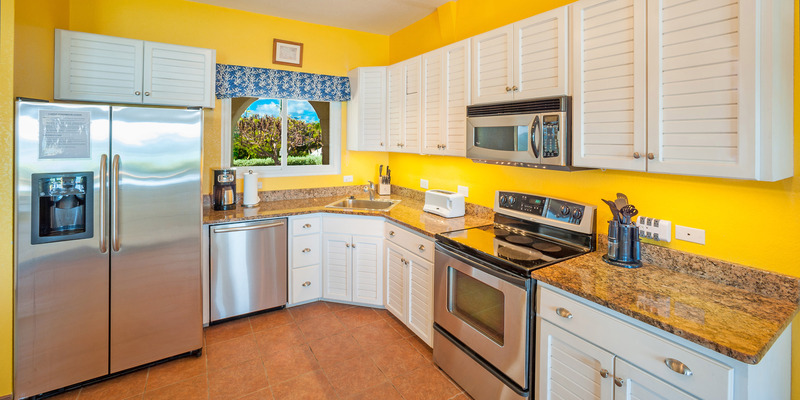 Modern kitchen with stainless appliances, dishware, cookware and cutlery. 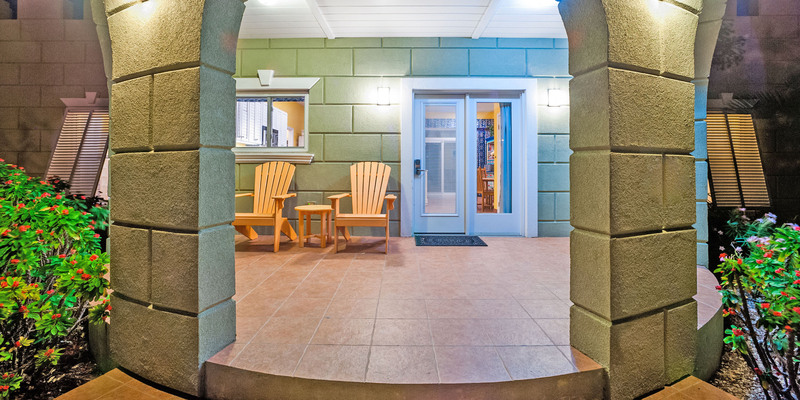 The Guesthouse offers the same quality construction and luxury finishes as The Castle including granite counters, glass-block showers, and bright new furniture. 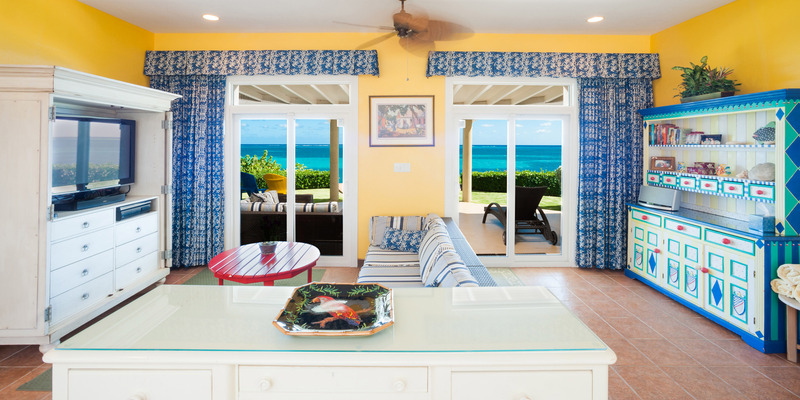 The Guesthouse offers a covered oceanfront veranda with sectional sofa and Adirondack chairs. A zoysia grass lawn also provides room for sunbathing on chaise loungers. 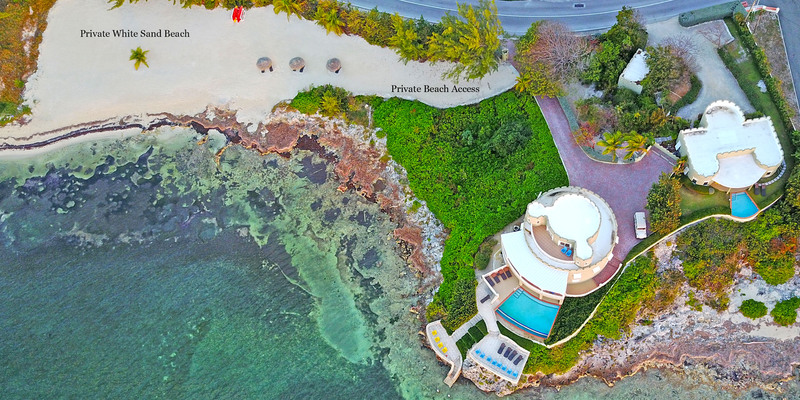 The white sandy beach with 3 thatched cabanas and 4 kayaks is available to guests just off the driveway. The pool is cliff-edged, so families with children should probably look elsewhere for accommodation. Private driveway with plenty of off-street parking. 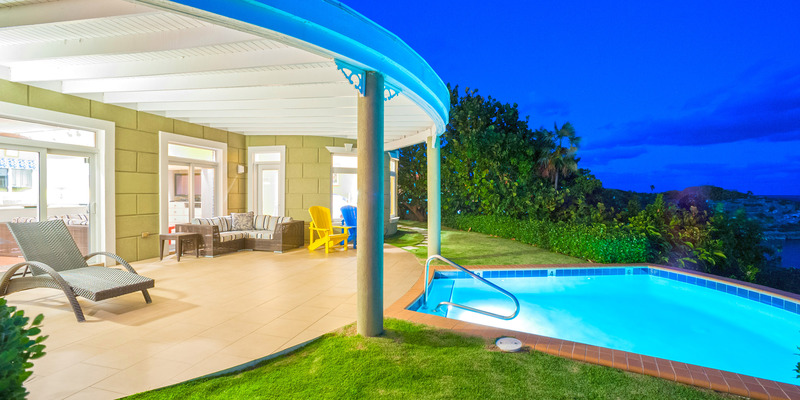 Castle Guesthouse is offered occasionally as a separate 2 bedroom rental, or within 60 days of booking if the main Castle is booked alone. *Note: Silver Thatch tandem kayaks available for discounted rental. Signed waiver and 5 day minimum required with 6th and 7th day free: US$39 per day per kayak ($195 per week/each). Paddles included. 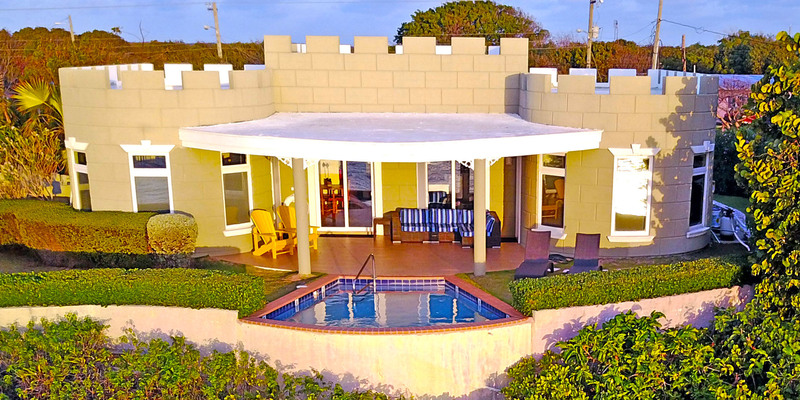 Cayman Castle & Guesthouse sits on a 2 acre gated estate in Gun Bay in East End. 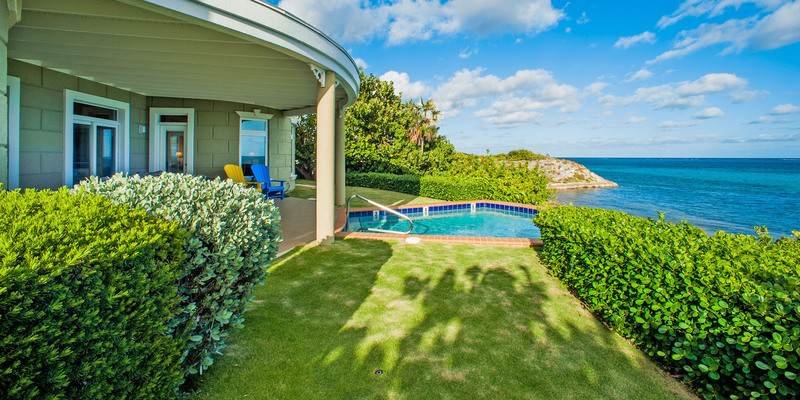 Adjacent to 6 acres of government land that includes the Wreck of the 10 Sails park and the East End Constable's residence & office, guests are sure to have ample privacy during their stay. 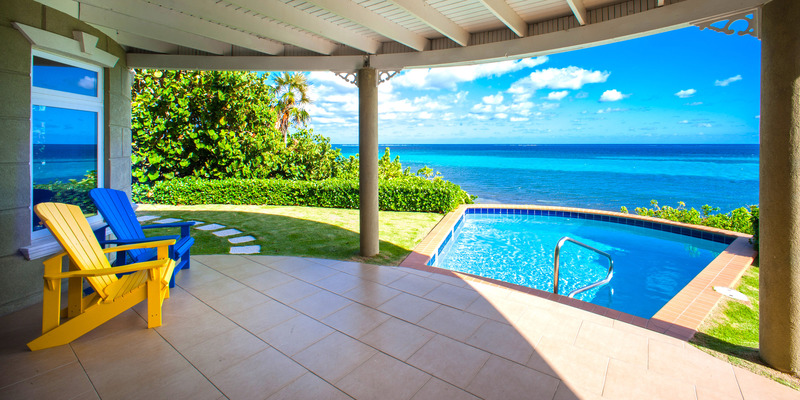 The Castle Guesthouse is cliff-edged with no direct beach access, however, guests have access to the Castle beach just off the villa's driveway. We have a 250 foot stretch of beach...plenty to go around! 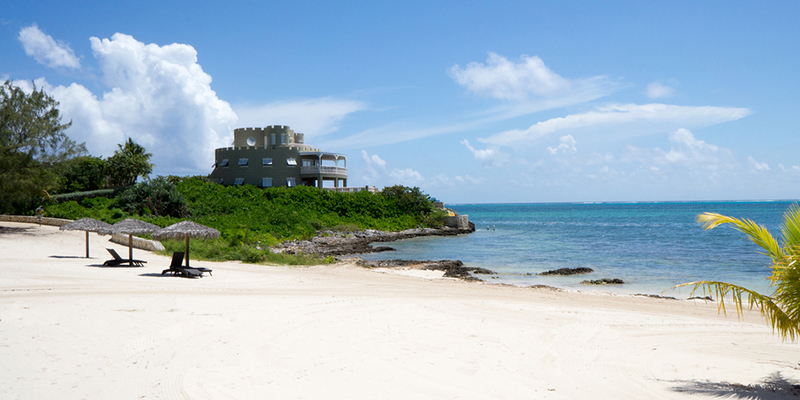 The beach is shared by guests staying at the Castle & Guesthouse only. 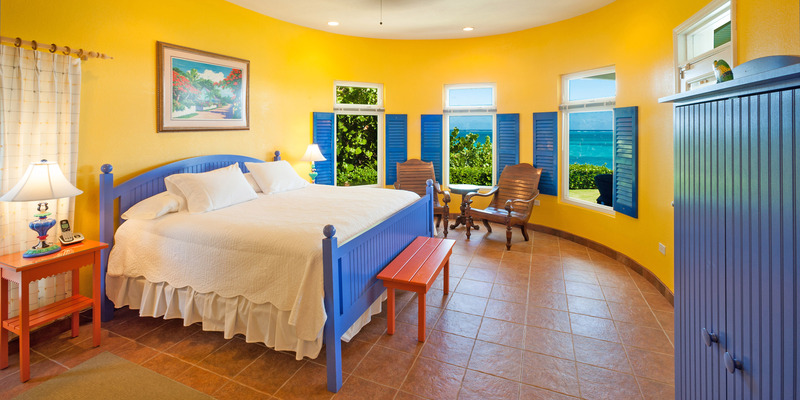 We have three thatched palapas, 4 kayaks and 9 lounge chaises on this beautiful white sandy beach. The water here is more for snorkeling than swimming. There is a great snorkeling site, 200 yards straight out from the castle, marked with a white PVC pole. You may tie up the kayaks to that pole while snorkling. 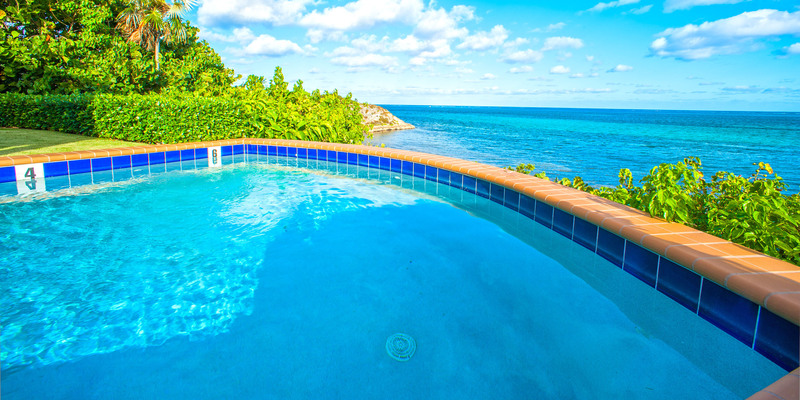 Since this is a marine environment we recommend guests wear pool shoes or fins for foot protection. If you want barefoot swimming, we sugegst visiting two resorts mentioned below. 2-3 lunch places are within walking distance and Tukka Restaurant is only a mile north. Two miles further north are the 2 large resorts (The Reef and Morritts) offering manicured beaches, pools, restaurants, bars and watersports. These resorts are great places to entertain older kids and for anyone to spend the day.